With your hosts James Lee and Kester McCullough. 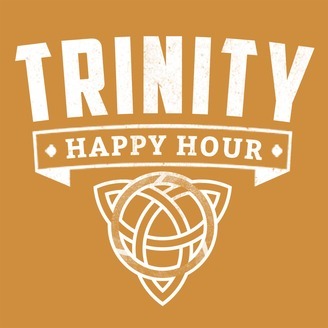 Trinity Happy Hour includes conversations, stories, interviews with special guests, and roundtable discussions all within an inclusive space for people interested in exploring the God Who is Love. 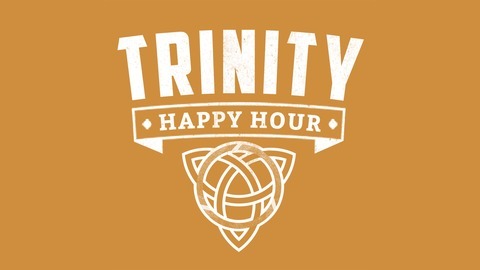 Visit us at trinityhappyhour.com Are you ready to leave work behind in place of something far better than you ever imagined? And no, we’re not talking about your job. We’re talking about leaving behind the heavy burdens that society, religion and others’ expectations have placed on you. There’s life, value and worth that Jesus has placed inside every human being, and yes, that includes you! But too often, our conversations have left out this beautiful reality in favor of a system of do’s and don’ts. We’ve placed our security, identity and self-worth in our ability to live up to others’ standards and expectations, and we’re tired. Embrace your freedom. Stop trying to please God. Choose to participate with God who’s already pleased in you. YOU'RE INCLUDED. JOIN THE CONVERSATION. Visit Andre Rabe's website www.AlwaysLoved.net.